Discussion in 'General Discussion' started by [email protected], Dec 9, 2016.
i´m going to be in Seattle in a month and my intention was to buy a MC594 but all this CITES situation is taking away my desire. It is supposed that if I carry the guitar with me, I have to justify nothing, but it is recommended to have a Musical Instrument Certificate, which is tedious to obtain. And besides that, there´s another thing I don´t understand: if I carry with me a guitar with no rosewood, I need no certificate. Then, custom officers are checking every single guitar with no certificate in order to verify that has no rosewood? Where are you going back to? You are meant to be able to hand-carry rosewood without any papers - that is how the CITES rules are written. But it's up to each country to determine how to implement, and some countries may be more strict than others. Spain, but my worries are about the US Customs, leaving the country with rosewood. It won´t be a commercial transaction, because if I buy the guitar there, the guitar automatically becomes my personal instrument for personal purposes, and I carry it with me as my handbag. But if a customs officer wants to verify the wood on my guitar, there's the problem. But if it's travelling with you then you are not in violation of the law if it has no permit - so you would be OK. AFAIK the US "get" this part of the CITES implementation. Carry a copy of/link to the CITES website where this is spelled out - https://www.fws.gov/international/p...appendix-II-timber-listings-December-2016.pdf - see page 18. This is what I though, but it seems that not everybody have this cristal clear. I have read different things in different "official" webs. My common sense tells me that me and my legally bought and personal instrument have nothing to do with this import/export situation, but I wouldn't like to be in an unexpected situation minutes before to board my plane. Thank you very much for this document, I'll print a copy! The US doesn't have exit customs like so many other countries for stuff like departing via airports. So no-one is going to care about or look at your guitar in the US (unless you draw attention to yourself!). It is when you land at your destination (or some enroute country) where you may be asked what you have. Check Spain's entry declaration form, it may hint at the types of things you need to declare, beyond the usual weapons, food, visiting a farm, etc. dogrocketp, Whitecat and Basauri like this. .. son of a birch. Now when you hear that song you're gonna hear and sing "birch." You're welcome. I wanted to provide a summary of my experience, now that my Private Stock referenced above has been received. 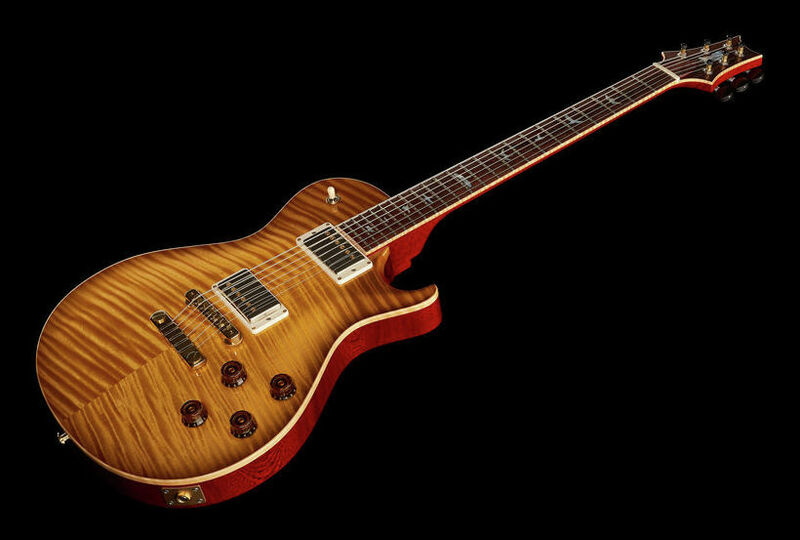 Turns out after a lot of fretting about what my responsibilities would be for "importing" a PRS (with rosewood) guitar from a Germany dealer, because of the status of the wood used, I didn't need to do anything. But read on, I'll tell you what that status was, and let you in on a twist in the tale. The SC 594 Private Stock I purchased from Thomann Music had a Madagascar rosewood headstock overlay and fretboard. So I was informed by the dealer in Germany (I live in the U.S.) that it would take 6 to 8 weeks to apply to the German government for a re-export CITES certificate. Turns out it took about 5 1/2 weeks, so they were speedy in my case! So step one complete, certified, stamped, and signed re-export German CITES certificate in hand, they can now ship the guitar to me, along with said certificate. They can't really tell me what my obligations are as the "importer" (yes, as a consumer in this situation I am importing the guitar, not just purchasing it.) Duties might or might not apply, and I may have to apply for one or several import applications, possibly with costs, especially since CITES is involved. Well, I figured out duties should not be involved, because the guitar was originally manufactured in the U.S. Whether or not U.S. customs figured this out for themselves, I was never asked to pay duties. So I had that going for me. I was fully prepared to have to go through the pain of applying for one or two import certificates with Fish and Wildlife and one other agency, but was never asked for anything from customs except for my social security number when it stopped in Louisville (UPS HQ and Customs entry). I have no idea why they need my social security number, but hey, I wanted the guitar so I called and gave it to UPS. So, it's looking like I needn't fill out any paperwork - UPS says it is on it's way to me! I get the guitar (and Thomann supplied paperwork) and it starts to make sense why this was so. On the paperwork, it says "This instrument has been imported/manufactured before the wood that was used has been put under protection of species by the CITES agreement and the EC Council Regulation 338/97. The instrument in question is a registered pre-convention, registered at the supervisory authority of the Bamberg district administration." Now, what's the twist? Thomann identified the rosewood on the guitar as Dalbergia latifolia - East Indian rosewood! So they completely mis-identified the wood, since Madagascar rosewood is Dalbergia baronii or Dalbergia madagascariensis! Hilarious, because it just illustrates what a farce this whole CITES thing is when it comes to "certifying" a retail manufactured guitar for shipment to a consumer. It is so obvious that no rosewood or protected wood will ever be "protected" at this point in the supply chain. So, it's stupid that we consumers should have to be hindered by this process. But, governments are involved, so there you go. The German government who "approved" or "re-certified" the CITES re-export certificate never even saw my guitar, much less could have noticed the rosewood was mis-identified. I get the intention of CITES, but they need to figure out how to stop hindering commerce for nothing. The solution is simple - the manufacturer certifies the product and material used with their government and everything is cool as long as that paperwork stays with the product (guitar). Done. Let's see how long it takes them to figure this out, if they even care. Was it worth it, regardless? AlienSexGod, Basauri, JSanta585 and 7 others like this. "This instrument has been imported/manufactured before the wood that was used has been put under protection of species by the CITES agreement and the EC Council Regulation 338/97. The instrument in question is a registered pre-convention, registered at the supervisory authority of the Bamberg district administration." Beautiful Guitar and excellent points However a Cites cert is only useful for one import/export. The manufacturers need to stand behind their woodstock being legal on their database that can be looked up at any time since as you have shown a certificate with the guitar could easily be erroneous either by accident or on purpose! Well, I figured out duties should not be involved, because the guitar was originally manufactured in the U.S. Whether or not U.S. customs figured this out for themselves, I was never asked to pay duties. So I had that going for me. Spoke too soon. I noticed buried in my email recently was a bill for 5% duties from UPS. So they weren't smart enough to know... I knew I gave them too much credit. So this story hasn't ended yet, but I handed them the right answer to tell me - that I need to fill out form CBP 311 "Declaration for Free Entry of Returned American Products". I did ask them who I need to send that to, UPS or U.S. Customs. Their reply? A form letter, saying my inquiry had been forwarded to a "Post Entry Analyst" and to please allow 2 to 4 weeks for the Analyst to contact me and "process my claim." And we wait again, but I can jam on my PS in the meantime. JonW, AlienSexGod and Whitecat like this. I think this is the final chapter in my story as guitar importer. UPS required me to sign an affidavit the guitar was manufactured in the U.S. and also fill out a form with the details about PRS, where they're based, phone numbers, address, etc. It's written as if the manufacturer is supposed to fill it out, but UPS told me I could fill it out, as long as I knew all the information. I submitted it and they removed the duty charge from my account. They also said it could take a few months for the government to review and process this form and officially approve the duty "credit", but UPS is gracious enough to assume they will and credited the billing account. So crossing fingers this is the end of the road. Lesson learned? If you live in the U.S. and are buying a PRS guitar from Europe, when UPS International calls you to ask for your social security number for customs records, tell them this is a U.S. manufactured guitar and ask to fill out the paperwork to get a waiver on the duties. I live in Europe and own a 2007 PRS Custom 24 with a Brazilian Rosewood fingerboard (Artist Package) that I purchased from the US back in 2009. The retailer never sent me any CITES documents or certificate for this guitar though. Does anyone know what my legal situation is with this guitar? What should I do if I need to travel with it or send it to PTC in the US for some kind of repair? Joao nice to see you on here. Been a long time! Sorry I don't have any CITES info for you. Just wanted to say hi. Hey man! Thank you! How's everything going over there? It's been a while! Very few PRS guitars were ever supplied with CITES passports - they do it now occasionally on special builds, but there is a tonne of undocumented Braz out there. It's why so many guitars have 'Custom built for USA only' on the back of the headstock. Older ones won't even have that but they won't have the paperwork either, so in strict legal terms it's basically now stuck in whatever country it lives in. Which is disappointing - other manufacturers do provide them, so it's not a big thing to do.